It’s not just about reaching the summit, it’s about your way up. 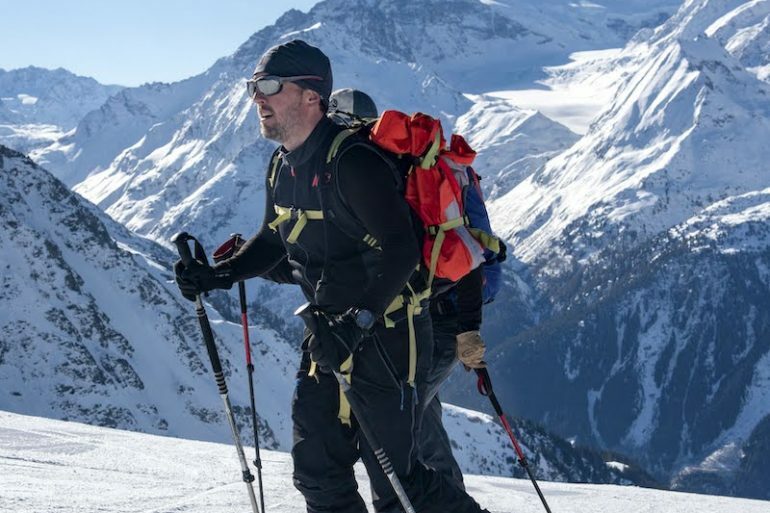 For those in the know, their Terrex range of outdoor clothing is pretty bloody good. 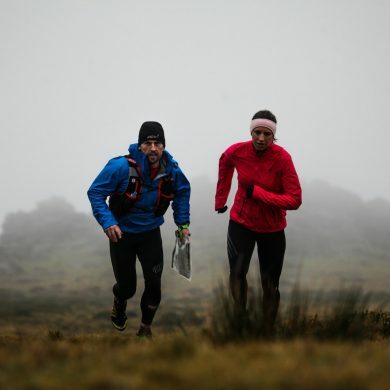 They’ve got something for everyone – climbers, trail runners and mountain bikers. 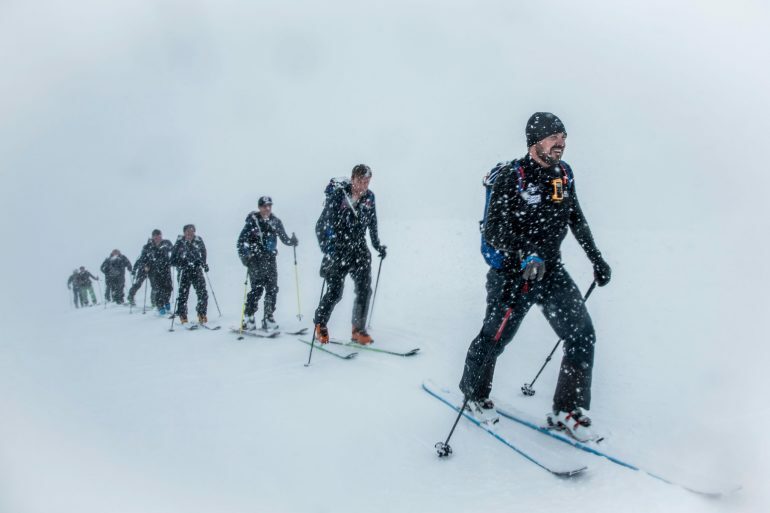 And to show just how good it is, they’re pushing their #Livewithoutlimits campaign far and wide. 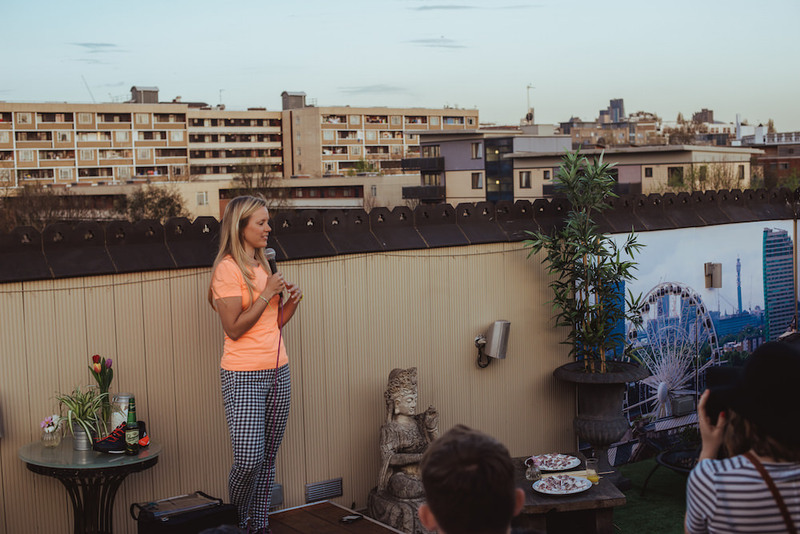 So, late in April they gathered a bunch of journalists and bloggers to a rooftop garden in North London, to listen to three inspirational speakers: adventurer Sophie Radcliffe, climber Shauna Coxsey and chef/duathlete, Alan Murchison. 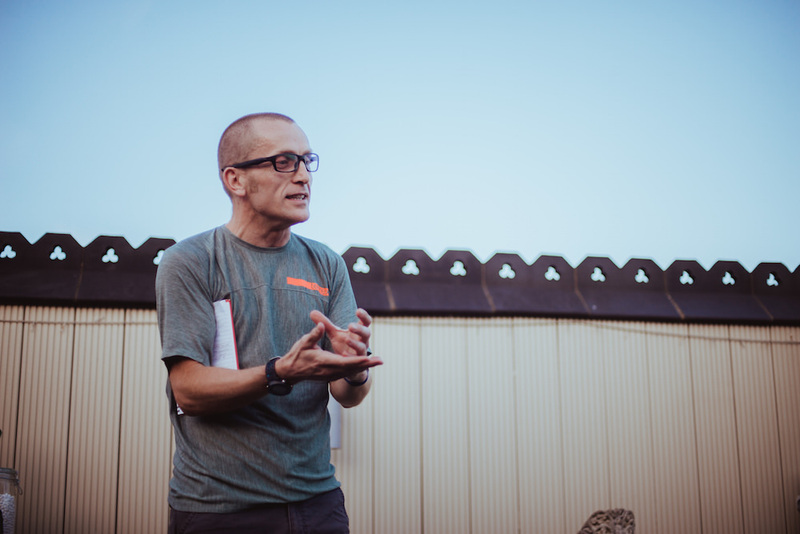 All in all, it was a rather fab evening – a chance to grab a beer with some like minded souls, have a glance at the new Terrex Boost shoe (stay tuned for a review of this) and talk about living without limits – all stuff that goes down well with me! Journalists and bloggers. Can you spot Mews amongst them? If you’re into adventure and challenges, there’s a good chance you’ve come across Sophie Radcliffe. I’ve known Sophie for a few years now and have been exceptionally impressed by how, through her excellent blog, she’s turned a passion into a career. She’s a woman who loves to set a challenge for herself. She’s cycled from London to Paris in under 24 hours not just once, but six times, maybe even seven. She’s twice completed Ironman Wales. 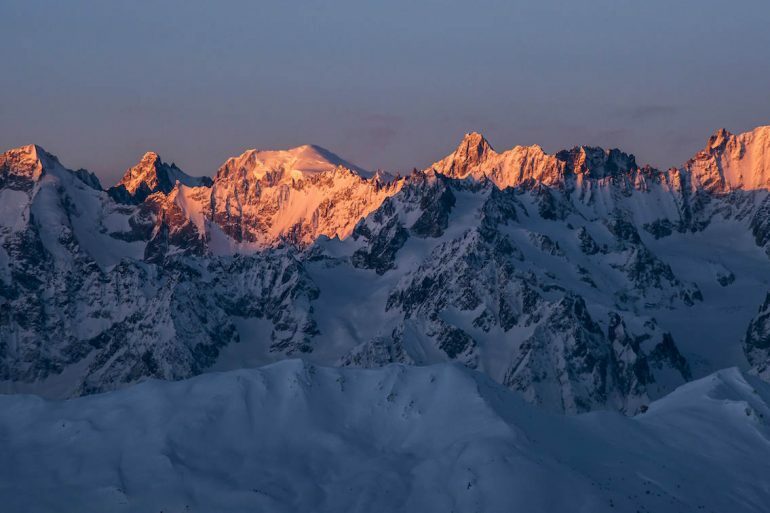 And to top it off, she and her husband Charley completed the Alpine Coast to Coast Challenge – cycling the length of the Alps and climbing each country’s highest peak. I interviewed her for my Telegraph Men column, which you can read here. And these achievements are just the tip of the iceberg. But considering she was speaking at the launch of the new Adidas Terrex Boost, it was appropriate that she talked about her newfound love for trail running, a product of living in Chamonix. 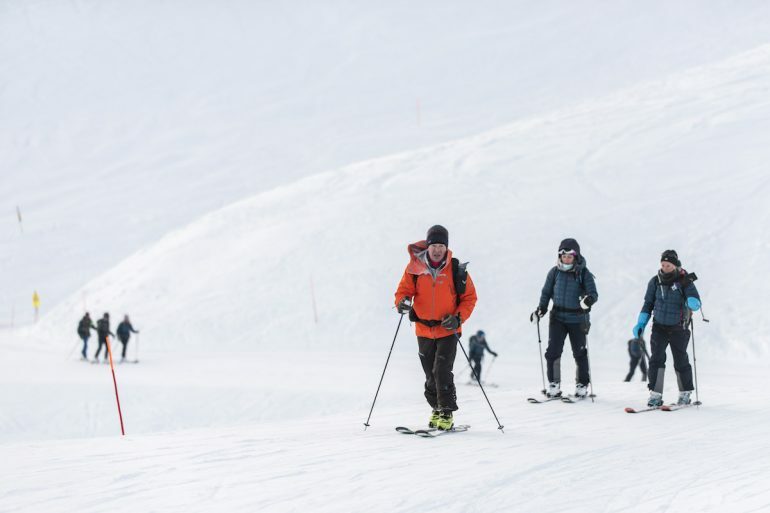 Since moving to the hallowed capital of adventure, she’s now discovering how much fun you can have on two feet and a pair of trail running shoes, embracing the delights of vertical kilometres and snow running. This was the first time I’d heard her speak and I was not surprised by how well she came across. Bravo Sophie! 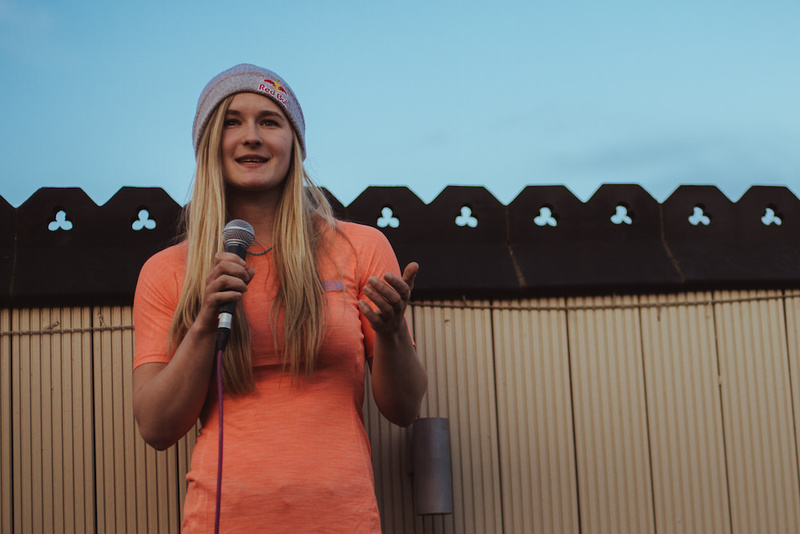 You might argue that Adidas sponsored athlete, Shauna Coxsey, is a bit of an odd choice to speak at an event that’s all about a trail running shoe. This is a woman who is far happier clinging to the edge of a boulder than running up to it. But this is not about the summit (a boulder in her case), but about the journey there. By her own confession, running isn’t something that comes easily to Shauna – currently 2nd in the Bouldering World Cup rankings. But considering she’s one of the most talented female climbers in the world – she’s humble as the proverbial pie. In fact, despite saying that she doesn’t like running much beyond 45 minutes (something her coach makes her do), she’s probably very good. Indeed, I’d be surprised if someone such as Shauna, who just oozes natural talent, doesn’t turn out to be an awesome trail runner. This was the first time I’d come across the Michelin starred chef and TV presenter, Alan Murchison. Which would make sense considering I don’t watch much TV, rarely eat in Michelin starred restaurants and nor would I be able to keep up with the twice running Age Group World Duathlon Champion. But of all the speakers tonight, Alan was probably the most assured (hardly surprising considering he’s quite a bit older than the girls). As someone with a PB of 29 mins of 10k, I think most of us were quite surprised that he’s not still running competitively, having transferred his talents to the duathlon world (where he’s doing pretty well!). He talked about how his favourite restaurant is MacDonald’s – the Scottish one, how he loves running with his dog first thing in the morning and how Adidas has hit the nail on the head when it comes to getting it right, likening them to tech giant Apple. He recently teamed up with Maserati and the Tour de Yorkshire Ride, where he provided yummy food at the 100km point – something Hard as Trails contributor, Rachel Pye, got to experience.